Players spread out inside the 20 x 16 yard area. The basic concept of &apos;tag.&apos; Start with two players being "it." Two players attempt to tag as many other players as possible from whichever team. If a player is tagged they must freeze and stand with their legs apart and wait for another player to come crawl under their legs. IMPORTANT: Go over that every child must crawl through a players legs from behind. Give them a demo so that they understand. 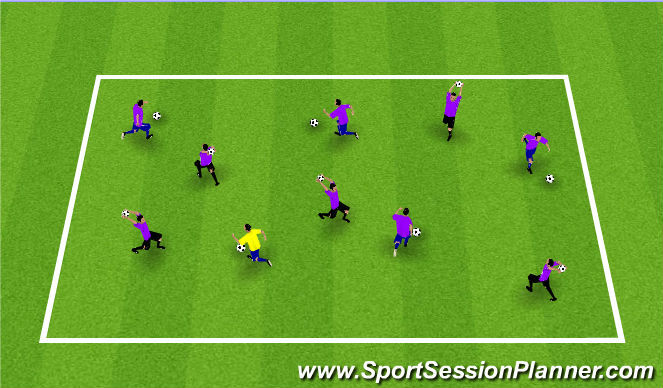 Progression: Give all players who are not "it" a soccer ball. Emphasis: Heads up, running, warm up and FUN! - Make it into a race! 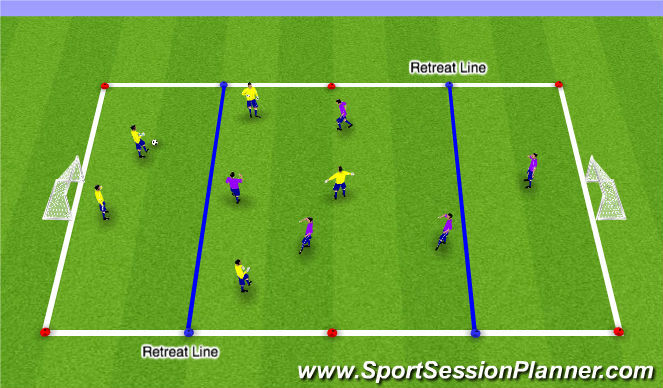 -Body turns with every touch around cones, small touches on the ball, cheering for teammates and FUN! All players have a ball. Robbers are dribbling team the Cops have to throw their ball against the Robbers ball. If Cops hit the robbers ball, they are out, but can get back in the game after 5 toe taps. See how many are "Out" after 60 seconds. - When other team has the ball, what do we do?